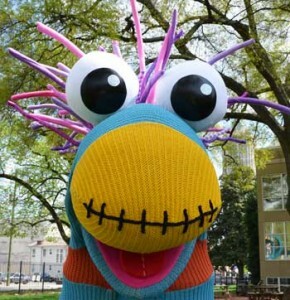 Sockly says: "Come see me at Summerfest!" Click on the link below for the final lineup of performers for this year’s Kidsfest music stage. Remember, all performers are children with connections to Virginia-Highland. Happy Summerfest from Sockly and the rest of the Center for Puppetry Arts crew! This entry was posted in news and tagged 2013, kidsfest, musicstage, summerfest by John Becker. Bookmark the permalink.